Discussion in 'Literature' started by AdmiralNick22 , Apr 18, 2018. Thanks to @Ancient Whills for posting these in the Star Wars #44-49 thread! • The MILLENNIUM FALCON – alone – versus an entire IMPERIAL FLEET. Looks like that new fleet is gonna suffer some losses! Hopefully we see the Mid Rim campaign, perfect moment to tie to a major canon event! Hypatia and Tzizvvt78 like this. The arc is called 'Hope Dies', per the solicits, right? Hope Dies, probably longer than 2 issues. Reading Gillen's interview, this is the Rebels getting smacked around as, the way he sees ESB is that the Empire has ALREADY struck back and are on the run, so the Rebels are due for a big loss after Yavin. So that would technically mean The Empire Strikes Back is at least the 2nd Striking Back of the Empire in a row. A New Hope led here. A secret rebel base. A secret rebel fleet. The chance of victory... And now, Darth Vader has found it. There is no escape. When did the Empire first strike back? Here. And it struck here hardest. My fear is that they'll ignore the Mid Rim campaign entirely. After all, they initially made headway in their invasion before the Empire pushed them back. You'd think that would lead to hope first before the death of hope. Are they going to do a time jump? MrDarth0, Vthuil, Jedi Ben and 2 others like this. Yeah, losing a base and part of the fleet pre-Hoth just... feels anti-climactic. I'm with Matt, I'd rather see the Mid Rim campaign. The Rebels losing because of their overconfidence, not just because Vader shows up with a fleet. I'll keep an open mind... but we already know that a good chunk of this fleet escapes. Killen has been interviewed saying this arc is about how the Rebels had all those MC80's in ROTJ. So even if there are some significant losses... it will lack an emotional feel. Ditto losing a base before Hoth. Anyways, if they at least mention/tie this into the Mid Rim campaign, I'll be much happier. Fingers crossed! Hypatia, Vthuil, vncredleader and 1 other person like this. Yes. Hopefully there is a time jump and we see the story at the start of the turning point for the Empire when it begins pushing the Rebels back to the outer rim. AdmiralNick22 and Daneira like this. Yeah, this feels kind of boring and rushed. Like the current Mon Calamari arc is about increasing Rebel strength, and then right afterward, the Rebel fleet gets blown up? And this is all set before Hoth too, which is a pretty big loss for the Rebellion (though not as bad as it could have been). Like the Rebels cartoon let them make a few gains (a base, a small fleet) before blowing it up at the end of the season, having this happen so soon just makes it hard to care. Not to mention that line just sounds silly, even by comic standards- the Empire striking back earlier than ESB? Well, there's still that whole war going on between the Empire and Rebellion, but trying to preempt ESB sounds silly. "Before their horrible defeat at Hoth, they had an even more horrible defeat!" The same awful tracing art doesn't help either. I guess I'll just wait until the TPB goes on sale for 99 cents by next year probably. "It is a dark time for the Rebellion. Although the Death Star has been destroyed, Imperial troops have driven the Rebel forces from their hidden base and pursued them across the galaxy. Evading the dreaded Imperial Starfleet, a group of freedom fighters led by Luke Skywalker has established a new secret base on the remote ice world of Hoth." Maybe they will not change the hidden base to not be Yavin IV, but this new location? That crawl has to be taken with a grain of Crait-salt. We see on Hoth that Leia is the clear leader. Luke is not the one calling the shots. Outsourced, Barriss_Coffee, Iron_lord and 2 others like this. The Empire had the Rebellion on the run even before ESB. 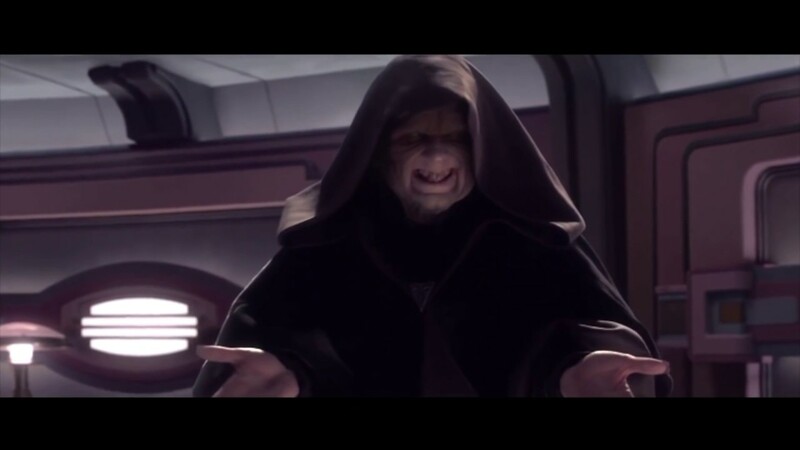 Don't you remember that the Rebellion was on the run in the very beginning of the movie? Hoth wasn't a stronghold that the Rebels had. It was just a location they were temporarily at while in retreat. I have zero issue with the Rebels being on the ropes and on the run. It's just that I liked the idea that post-Yavin they got overconfident and launched a campaign they weren't truly ready for. It will be very interesting to see how they handle a defeat for the Rebel Fleet pre-Endor. In The Rebel Files, we know that the fleet wasn't able to get to Hoth in time. Per Ackbar, "I got the call of course, but there wasn't enough time to scramble the fleet and get to Hoth. The actual evacuation occurred in a matter of hours." The other line from TRF that would be contradicted by a major fleet loss pre-Hoth is from Mon Mothma's address following the destruction of Echo Base. In it, she notes that "the Alliance Fleet, not present at Hoth, is as strong as ever. We have since won victories against the Empire at Pyros and Mirrin Prime." Don't get me wrong, all of this will be easily massaged to work one way or another. So I'm not worried about that. It's more that this is a AWESOME chance to show some good use of continuity and tie this to the Mid Rim Campaign. I hope TPTB don't miss out on it. Hypatia, vncredleader, Barriss_Coffee and 4 others like this. Are you talking about the Rebels Files thing that (at least on Amazon) costs almost a hundred dollars for less than two hundred pages of content? Oof I don't have that and if it indeed costs that much I definitely am not getting it. Looks like there is a hardcover Rebel Files book being released this summer that is much more affordable (priced at under twenty dollars on amazon). It's not just about book, there's a Death Star hologram projector, a hard case, a Kuat Drive Yards brochure, the Yavin 4 base evacuation checklist, Lando's Rebel Alliance intake form, and Jyn's prison intake form. 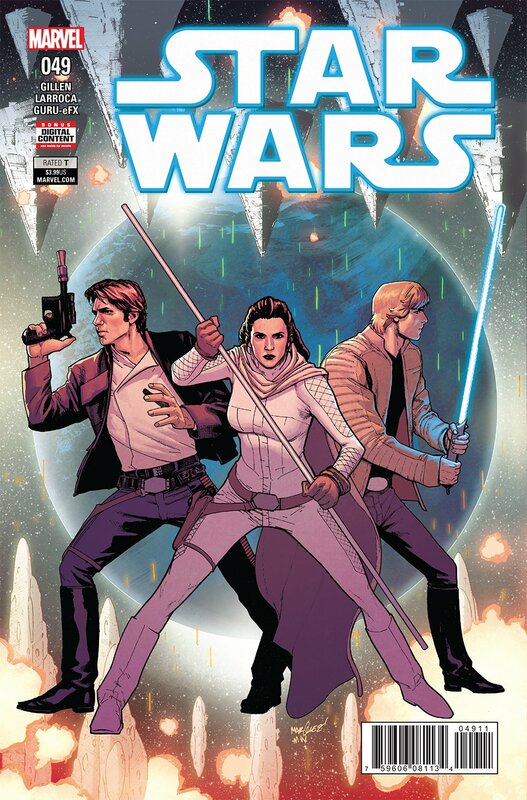 "The most epic story yet done in a STAR WARS comic"? CooperTFN and spicer like this. True, but if we're going to slip hairs here (though, isn't that what we do here all the time? ), all the text crawl (at least, how I read it) says is that "a scouting team lead by Luke Skywalker found Hoth and decided to establish the main base there." Nothing says he was involved with actually building it, or running the day-to-day operations like Leia. Can't wait for this arc. its looking epic. As the belief of many SW fans that there might be a change of artist is reduced to ash! Nah, they got plenty of time to reconcile all that with the new stuff that's been done, three years of it. I'm hoping that we are getting closer to the Battle of Hoth now. Hey, remember when good guys won in Star Wars and the heroes were heroic? Okay, I'll bite: Sure, why do you ask? If it's funshine and happy thoughts you want, the Marvel Cinematic Universe is right down the hall. ...no wait they're about to kill all their whole cast next week. And Solo will probably be as dark as the Crispin trilogy. So... Guess there's always Ant-Man? Revanfan1, Voltron64, Vthuil and 1 other person like this. Because it seems like we just don't have many happy endings for our heroes anymore. You know, things like Leia and Luke robbing the Wheel to take a few trillion credits to fund the Rebellion. Oh man, this is almost sigworthy. tatooinesandworm, Revanfan1, Nobody145 and 2 others like this. We don't live in an age anymore where a lot of people are calling for those family friendly sitcoms. These days people want shows about post apocalyptic worlds and shows that fully embrace all the dark things that went on in the middle ages. Star Wars is only doing the things that the entertainment business is currently calling for. Yes Star Wars is still a franchise largely for the young. But the young these days sees a lot more than the young did twenty or thirty years ago.